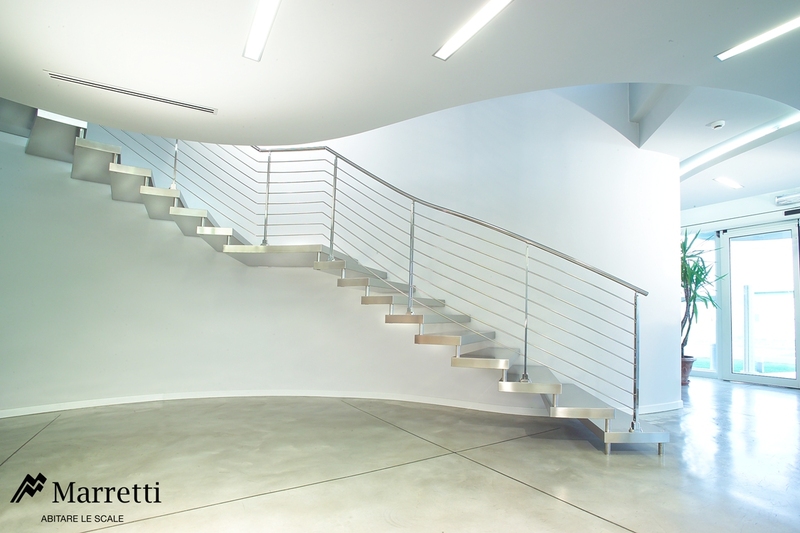 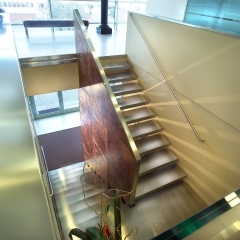 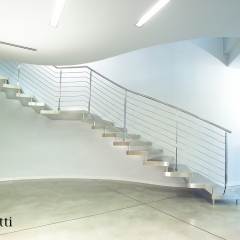 Wooden cantilever staircase plated with stainless steel composed of beech wood steps plated with a 2 mm satinised stainless steel plate with no visible welds. 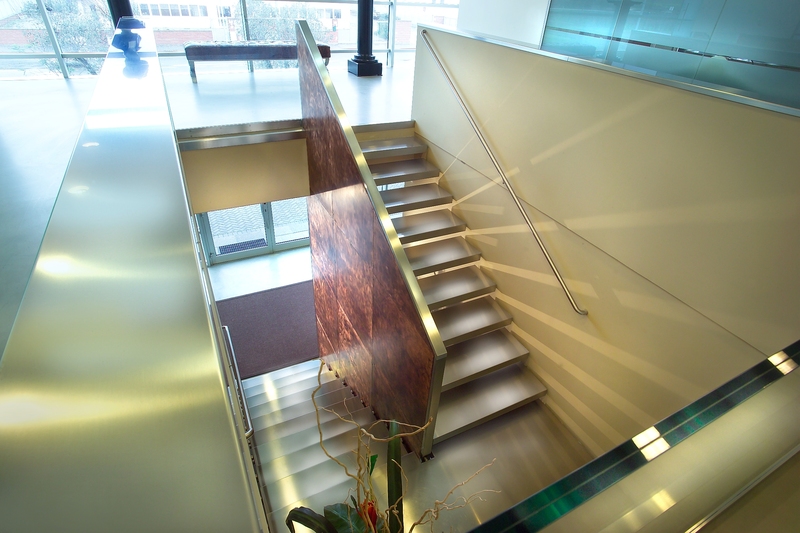 The thickness of the step and riser can vary (73-80 mm) depending on the width of the staircase. 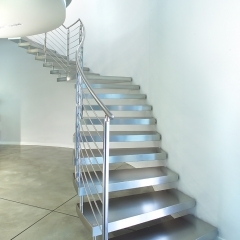 A bearing wall is necessary to anchor the steps. 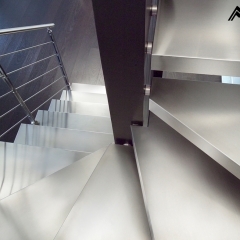 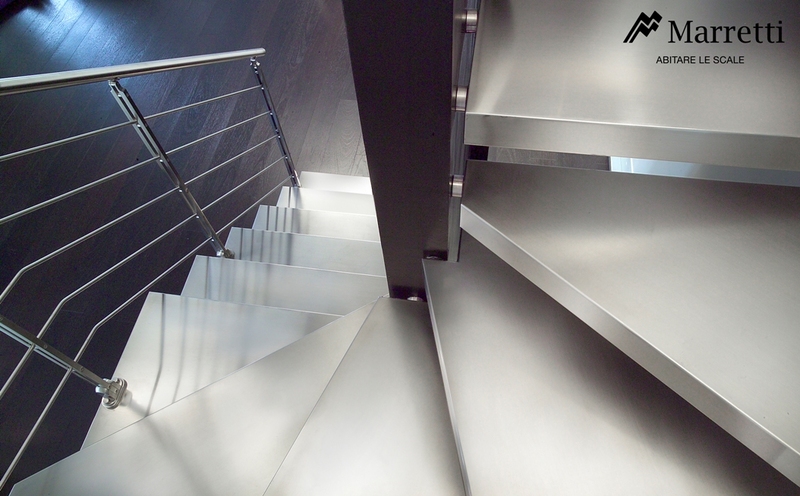 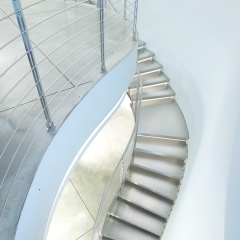 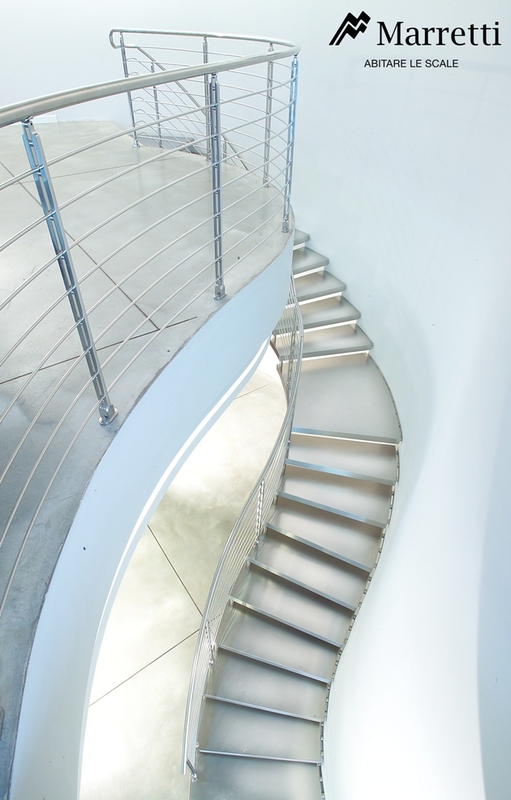 The metal parts of the banisters are completely made of stainless steel with no welds and are assembled only through mechanical fastenings. 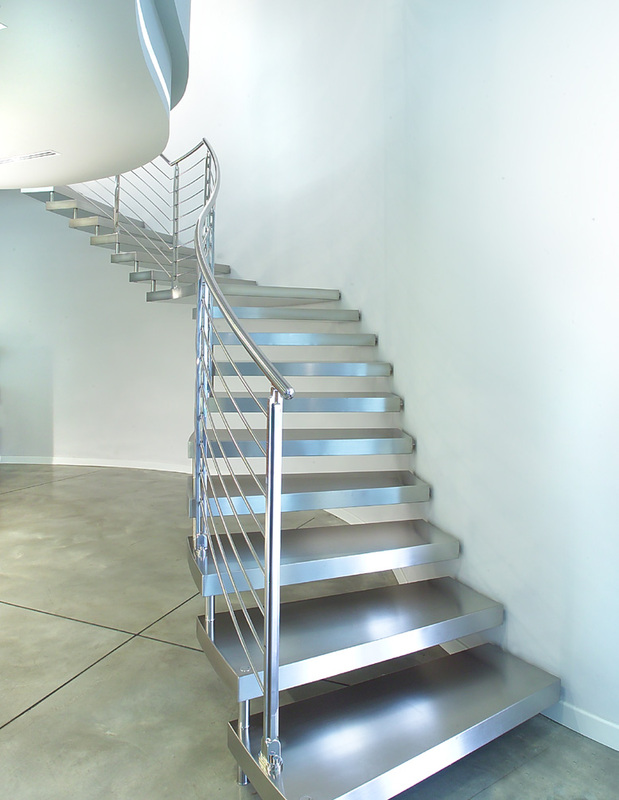 The finish can be polished or satinised except for the steps that can only be supplied with satinised finish.